Spend a day at seed school and meet student seeds of all different shapes and sizes. Colorful illustrations showcase the biodiversity of the garden, while the story’s verse helps young readers to explore plant parts and processes. 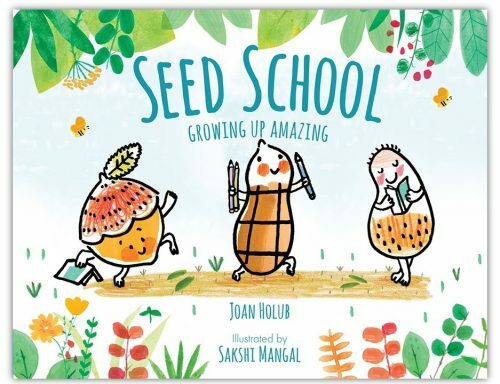 Learn along with the seed schoolmates as their seed school teacher, Ms. Petal, reviews the four seasons, the four things plants need to grow, and the four basic steps of photosynthesis. Even Principle Bee stops by to teach the students a bit about pollination! 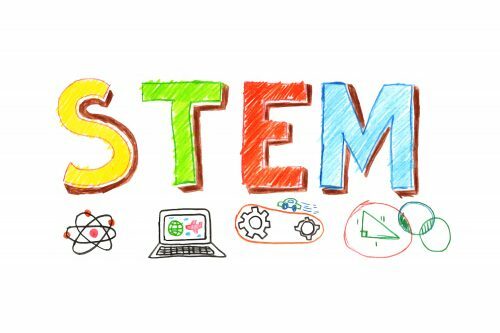 Invite students to embrace STEAM with their trip to seed school using these suggestions. 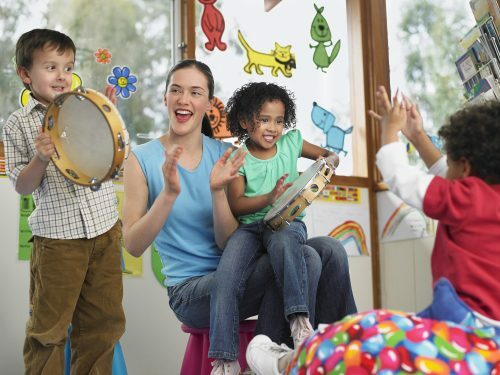 Humans are wired to be sensitive to sound patterns, and music helps foster communication and imagination in young children. Seed School uses four common nursery rhymes to teach about plant parts and processes, by simply changing up a few of the words. Try singing these alternative lyrics to “Rock-a-bye Baby”: “Rock-a-bye seed, hanging in the tree top, when the wind blows, the seed will drop…” You can use the new lyrics in the book, or try making up a few of your own. Invite young students to grab (or make) simple instruments and even play along! Learning about different cultures and traditions offers new experiences for children. Activities that include lessons around diversity teach young children to respect and celebrate the differences in all people. In Seed School, the little lost seed is different because he does not come from the garden and he seems to grow much slower than his peers. But what do all seeds have in common? And how does the little lost seed’s difference make him special? How can we respect and celebrate diversity not only in seed school but also in our own classrooms? 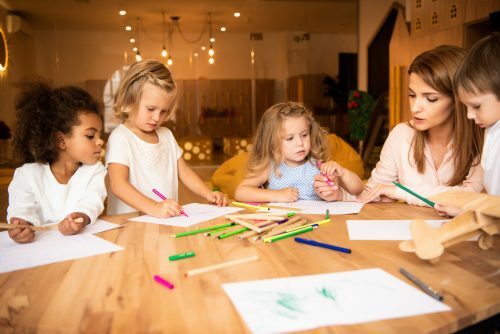 Drawing encourages creativity, coordination, and fine motor development in young children. Seed School’s translucent illustrations fill the pages with color and light. Mangal’s simple lines and bold colors offer perfect patterns to emulate. 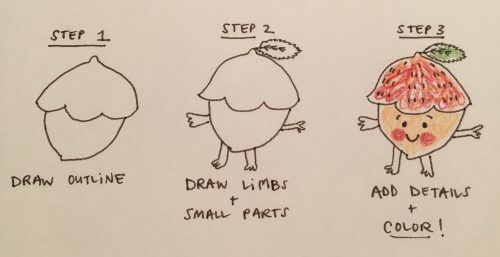 Encourage fun and process-oriented drawing practice by showing students the steps that can be combined to create the little lost seed (Figure 1), and other Seed School characters. Observe, collect, and classify plant seeds.